David Coggins looked at the ultimate luxury in apparel: Vicuña. 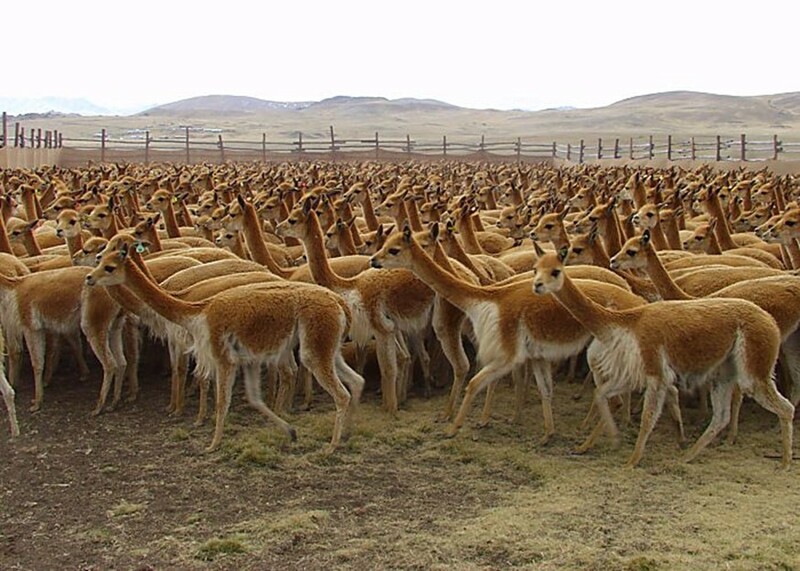 Vicuñas are llama like animals (pictured) that live in Peru and Argentina. Their super-soft coats are remarkably resistant to the cold temperatures of the high-altitude areas they live in. In fact their coats are so attractive that their numbers fell from 2 million in the 16th century to 10,000 in the 1960s as a result of poaching. While businesses have figured out how to shear the coats without harming the animals, their numbers are so small that one major garment maker can only secure 17,500 pounds of the stuff every year. In contrast that same retailer secures over 20 million pounds of cashmere – which itself is no cheap material. A single scarf made of Vicuña can cost $4,000. A suit goes for at least $46,500. The most expensive though are items made from the white coats of extremely rare albino Vicuña – they go for $50,000. And demand is high – the fabric is extremely lightweight and those who feel its softness hunger to own it. Find out why most Vicuñas garments are the same colour, its royal history, and more over here. Why Do Theaters Charge the Same Prices for Different Films?